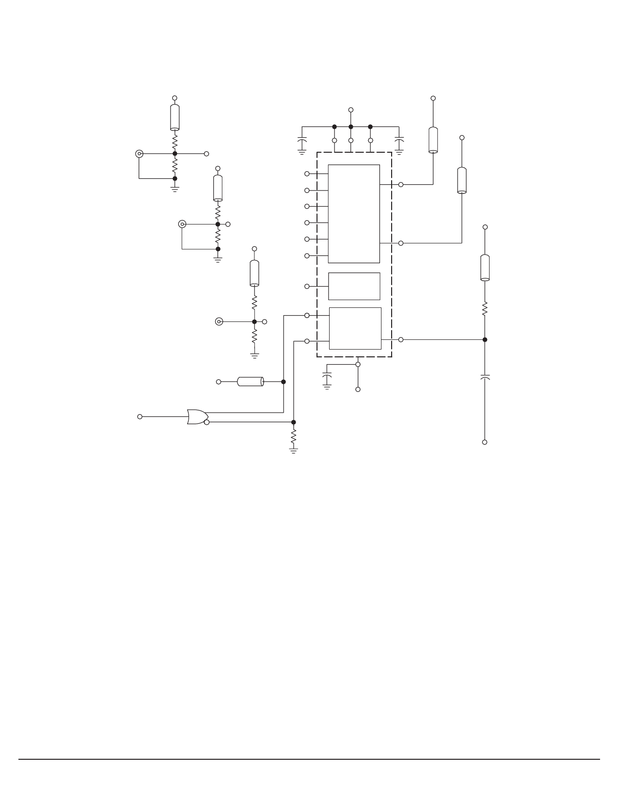 ML12009-5P HTML VIEW PDF DOWNLOAD - LANSDALE Semiconductor Inc.
ML12009-5P View Datasheet(PDF) - LANSDALE Semiconductor Inc.
All Pulse Generators are EH 137 or equiv. All input and output cables to the scope are equal lengths of 50 Ω coaxial cable. The 1950 Ω resistor at Pin 7 and the scope termination impedance constitute a 40 :1 attenuator probe. CT = 15 pF = total parasitic capacitance which includes probe, wiring, and load capacitance. Unused output connected to a 50 Ω resistor to ground.